A few years ago we took a voyage to Alaska with a lot of gear and a great team. Our goal was to photograph the glaciers in Alaska's, Prince William Sound. What we saw was both amazing and confusing. Here is the first video installment from that trip. More to come, subscribe to the Youtube Channel to see more. It's that time of year again, The music is playing, the fire is cozy, and it is time to buy some gifts for the adventurer in your life. A few changes this year. 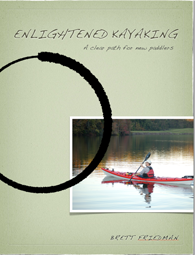 With the switch to Adventure Otaku (from Paddling Otaku) I can now talk about gift ideas for people besides paddlers! Doesn't everyone know an Adventurer? Also, this years list will include Amazon Affiliate links. Maybe you could help me make a few pennies, but still no ads. So that's a positive right? With just a few exceptions these are all items I have used and truly love. Whether you are just starting out in the outdoors or are a seasoned professional, there are things here for everyone. This year the list ranges from $24 dollars to $1000, depending on your budget, But fully half of them are under $200. So put on some Christmas music, get some cocoa, and check out this years list! Lodge Cast Iron Skillet ($24.95) - Obviously you aren’t taking this backpacking, but for car camping or vanlifing there is nothing better. Easy to maintain, and naturally non-stick, these pans are versatile, durable and with a little care will literally last for generations. Black Diamond Spot ($39.95)- This headlamp is on the list most years, and with good reason. In the brightness vs dollars category, this is the hands down winner, a great headlamp particularly at the price, and every year they make it just a little better. No affiliate link for this one, if you order it, make sure you are getting the 325 lumen version. Amazon only seems to carry last years model at 300 lumens. Patagonia R0 Sun Long Sleeve Shirt ($49.00) - This year I replaced the shirt I paddle in. I took 14 shirts to the fitting room, to find the one that fit my needs. It had to be comfortable, wick efficiently and offer UPF 50 protection with long sleeves. The Patagonia came out the winner. As I was trying them on I was hoping some underdog like NRS would offer the best shirt, and a lot of shirts offered the features I needed, but none fit like the Patagonia. Jetboil Mighty Mo ($49.95) - The most underrated backpacking stove out there. Slightly bigger than the revered Pocket Rocket it adds a push button igniter and a pressure regulator for better performance in cold weather and altitude. Well worth the $5 more than the MSR. 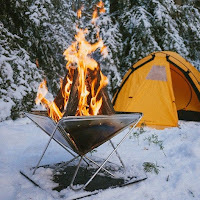 Snow Peak Pack and Carry Fire Place ($89.25 for the small) - I bought this mainly because it would look cool in photographs, but it is amazing. I use it most often when I am teaching on a cold day so students can warm up, even though it is fairly small it is great for physical warmth and psychological warmth. I set it up at a party a while back and it immediately became the focal point. Best of all it folds flat. I have the smallest, it is only about a foot across, they get much bigger. Patagonia Nano Puff ($199) - My go to winter insulation piece. Because I often adventure in wet weather I try and stay away from down. This packs small and keeps me warm. What else do you need. ACR Personal Locator Beacon ($289.95) - I don’t want the level of communication that most people want in the backcountry. I want a rugged reliable device that has one feature. When the pooh hits the fan, and my life is in jeopardy, get me the hell out of here. This is that device. Built to a much higher level of durability than a spot or Inreach, it has one button, one use, and no service fee. Goal zero Sherpa 100 ac ($299.95) - I used the Sherpa 50 for the last Alaska expedition - actually two of them - and they were awesome. This updated version with a lithium ion battery is a fraction of the weight with a lot more power. It has more power than the Yeti 400 I use in my van. This will power just about anything, from your GoPro to a laptop. GoPro Hero black 7 ($400) - Mark my words, this camera will be looked back on as the camera that saved GoPro. For two reasons. First is the image stabilization. Nearly gimbal good. Second, is the TimeWarp - I really prefer to call it hyper lapse, which is what it is - which combines a traditional time lapse with the above mentioned image stability. Both are amazing. Additionally, an unsung feature is the new user interface which is so much better than the last version. iPad Pro ($799) - I am writing this post in a tiny house on my iPad Pro. I do everything but final book layout on my iPad Pro and I absolutely love it. It has replaced laptops for me, easily. I use it extensively planning classes as well as for media consumption. It is smaller, lighter and frankly better than any piece of portable computing gear I have used. I absolutely love it. To have access to satellite imagery, detailed weather and communication anywhere is impressive, If only it were waterproof. 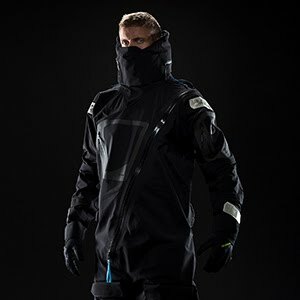 Mustang Survival EP 6.5 Ocean Racing Jacket ($999) - Okay, as I am just delving into sailing, I have no need of this product. Yet. But this is the coolest looking jacket I have ever seen. Mustang survival makes some great gear. This looks like it belongs in a sci-fi movie. *This is the only product on this list I haven’t used. So that is this years list. Let me know what you think. In about a week there will be a second list of Stocking stuffer ideas, with nothing over $50. I hope you had a great Thanksgiving and maybe it is evens snowing where you live. Happy Holidays! As the woman walked away from me she said, "the gloves have to be waterproof, because it feels like it's never going to stop raining!" This is just one of the misconceptions that I hear regularly. Some of them are specific, like this one. But some are generalizations that are just plain wrong. But whether they are things that are purported to be facts, or vast generalizations based on nothing substantial I - and I am sure many of my colleagues - hear them all the time. Here are some of the most common things I hear, that are just plain wrong. For some reason, in the area of water treatment there are a lot of misconceptions. The first is people looking for water treatment, saying "I need a water purifier." No. You don't. Yes you need to treat your water to make it potable, but you don't need a water purifier. When water is "purified" it has been treated to the viral level for contaminants. Most people active in the backcountry don't need this level of treatment - unless you are going to a country where they don't do a good job of segregating waste water from drinking water, or an area of severe flooding. "I'll Just use Iodine" is another good one. If you are using iodine as a water treatment you are wasting your time. Iodine is effective at treating Giardia, but not cryptosporidium, and there are too many factors to consider - water temperature, turbidity, and PH - to make iodine treatment of viruses useful to us in the backcountry. If you have questions about treating water, check out this post from a couple of years ago. The only thing missing from it is mention of the MSR Guardian water filter which is a bit heavy, and very expensive but an outstanding filter if you need viral protection. Another area that has a lot of misconception is anything to do with Bears, here is my favorite, "Grizzly bears are the largest and most dangerous bears out there." This is just plain wrong. Grizzlies are neither the largest, or the most dangerous which I will clarify by saying they are not the most aggressive towards humans. The winner of both of these awards goes to the Polar Bear. Which is to say that Polar bears are both taller, and heavier than Grizzlies (which actually come in third in the size category) Polar bears also subsist mostly on meat, and are far more predatory than Grizzly bears. Grizzlies evolved on the plains, where they had an option of fight or flight, but Coastal Brown bears - which includes Kodiak bears, as well as many other subspecies of brown bear - evolved on the coast, where the ate diets rich with protein - salmon - which helped them grow bigger, and they didn't have anywhere to run in a fight, so they evolved far less likely to flee an altercation. Most scientists agree that Polar Bears are both the most aggressive and the largest bear on earth - though you are less likely to run into them unless you are in the Arctic. But Kodiak bears are sometimes found to be bigger, this may be a statistical anomaly, but there are cases. "Bear Spray isn't proven effective." Also just plain wrong. Bear spray has been tested over and over again, and is proven effective against all types of bear, including a handful of cases with polar bears. I have discharged bear spray a couple of times, but always in training. It sprays a cone of mist around 25 feet, and is potent. A friend of mine had an accidental discharge on his back - it is designed for use on mucus membranes remember! - and he said it felt like an iron was pressed against his skin. Now imagine that in your eyes or nose. Now imagine the effect on a bears nose, a nose that can smell bacon from two miles away. "A gun is far better for defense against a bear, than pepper spray." Okay, imagine this scenario. You are standing 25 feet from a large brick wall, holding a basketball. You throw the basketball at the wall. As soon as you release the ball you draw your gun, and aim and shoot the ball before it gets back to you. If you can do this, then by all means, use your gun. If you can't shoot a charging bear in the head and guarantee a brain shot, then stick to bear spray. It is really that simple. Okay, enough about bears. Go read Bear Attacks their causes and avoidance. 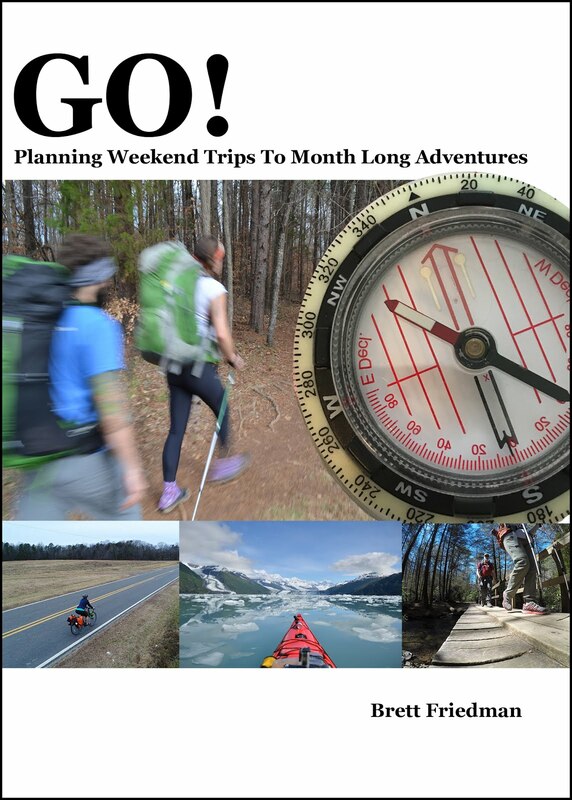 It is the book Outdoor professionals read. "Kayaking is a great upper body workout." 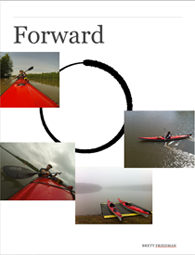 Only if you are doing it wrong, or are doing it at the Olympic level, take a kayaking class and learn all that you have been doing wrong. "I need waterproof gloves." You probably don't, and waterproof gloves are expensive and horrible. If your hands are going into liquid water you need water proof gloves, but even I - a lover of cold water paddling - don't use waterproof gloves because they stink. TO make a glove actually waterproof, all the seams - and look at pair of sewn gloves, and see how many seams there are on the fingers! - have to be sealed with tape or welded. This is time consuming and expensive. If the glove is also truly waterproof chances are it won't breath well, which means your hands will end up cold and wet (from sweat) anyway. Water resistant gloves are just fine for most people. I love and highly recommend power stretch gloves, they are made by a number of different companies. "It's going to be cold so I need a four season tent!" Your tents job isn't to keep you warm. Your tent is like a shell Jacket. It protects you from wind, rain and snow. Keeping you warm is the job of your sleeping bag, and sleeping pad. A four season tent is designed for high winds and a heavy snowload. I own a four season tent for kayaking in Alaska, because of how much wind you can get on the coast. We should really stop calling them four season tents, because it leads people to think if you are camping in winter you need one. My three season, three person tent weighs just under four pounds. My four season, three person tent weighs 11. Do you really want that in your backpack? No. Before you start spreading misinformation like any of the things listed above, think about the source. If there are any things you hear frequently that are just plain wrong, let me know in the comments.